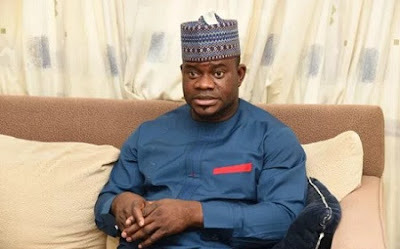 The Kogi State Government on Sunday confirmed the compulsory retirement of eight permanent secretaries, some directors and dismissal of 1, 774 others from the state civil service. The News Agency of Nigeria gathered in Lokoja that the affected staff were served their letters last December. The letters were signed by the state Head of Service, Deborah Ogunmola, and the Chairman of the state Civil Service Commission, Ado Shaibu. Some of the affected permanent secretaries told NAN that they were contemplating legal action. However, Petra Akinti-Onyegbule, Chief Press Secretary to Governor Yahaya Bello, defended the action, saying it was part of ongoing reforms in the civil service. According to her, the retirement affected only permanent secretaries that have served for four years and above. “The retired permanent secretaries have been paid their consolidated benefits that accrued to them. “Also affected are civil servants who have attained the special salary grade level 17,” she said. The governor’s media aided added that directors that served for eight years and above would also be affected. She said the exact number of directors to be affected would be based on the outcome of the recent promotion interviews conducted for them. In order to get the best replacement for the retired permanent secretaries, directors who had been in office for eight years and above but are yet to attain retirement age or maximum number of years in office were given the opportunity to partake in the exams to fill the position of permanent secretaries. “The result of the examinations which held on Tuesday, December 12, 2017 and followed by interviews is yet to be out. “Until the result is out, we will not be able to put a definite figure on the number of directors that will be affected by the compulsory retirement,’’ she said. The chief press secretary also confirmed that 1,667 workers with fake certificates were dismissed from the state civil service. She said that those dismissed were uncovered during the screening carried out by the state government in 2016 and 2017. Ms. Akinti-Onyegbule also said 107 other workers were dismissed for engaging in fraudulent activities. “Kogi state government is carrying out reforms at different stages to reposition its civil service for effectiveness, efficiency and productivity. “The screening exercise which began in 2016 has since ended. “The reversal of the inverted pyramid at the civil service is another phase of the much needed reforms meant to ensure the civil service plays its role as the engine room of government efficiently and effectively,” she said.